Well, Hello There, November!!! 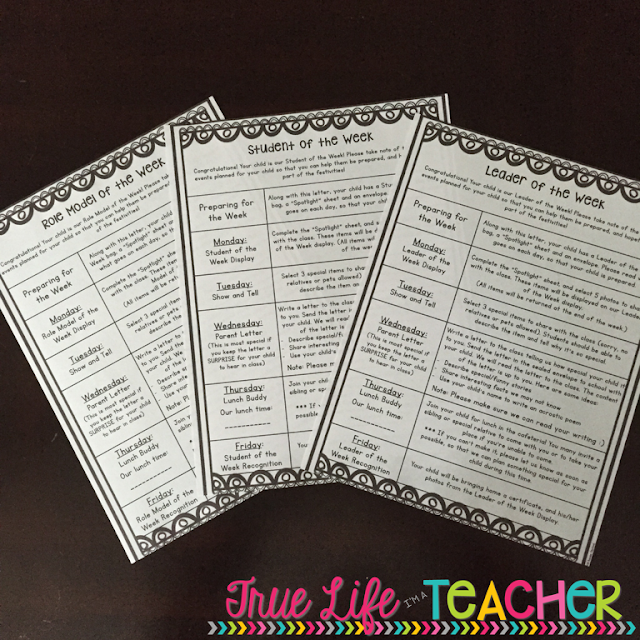 The authors of The Primary Peach and I are bringing you a Helpful Harvest...an entire month of great ideas, tips, and tricks to use in your classroom! November is one of my favorite months of the year! It's also a tough month for the classroom! I don't know about you, but my kiddos are starting to get restless! They know Thanksgiving is coming, and after that, it's a fast ride to Christmas! Eeek! Back in September, I shared that I don't use a clip chart, but that certainly doesn't mean that I don't have a few rogue behaviors in my room! Ha! 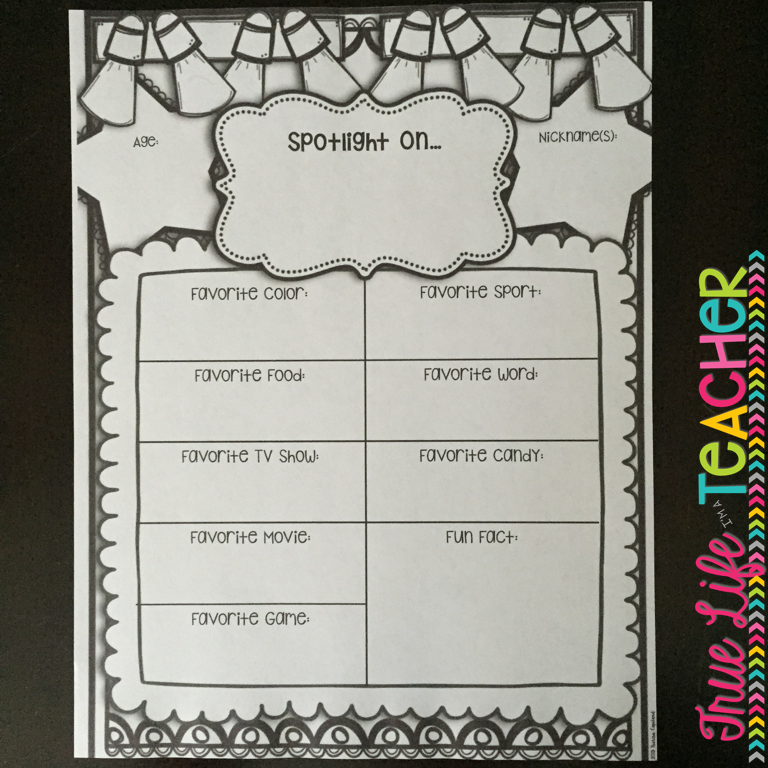 Even with those off-task behaviors, I don't choose student of the week based on my students behavior. In fact, it's totally random! When I really stepped back to think about the routine and it's purpose, I quickly realized that it wasn't to reward positive behavior. In addition, if I chose the student of the week based on behavior, the "good kids" would all get chosen at the beginning of the year, the "bad kids" would get chosen at the end of the year, or maybe even never, which makes my teacher heart really sad. Plus, we all make mistakes, right? 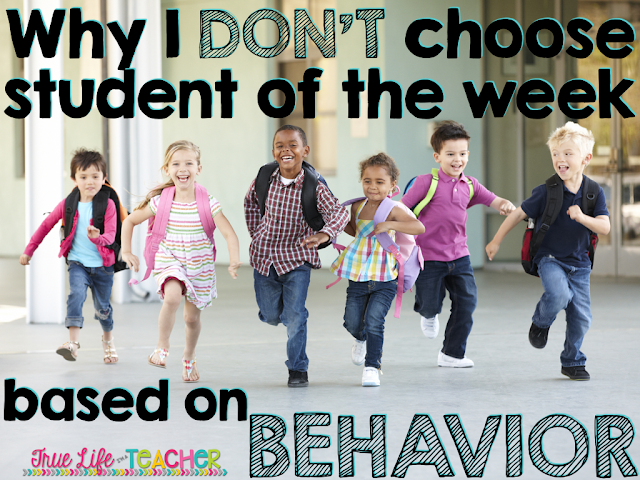 Very few kiddos (especially second graders or younger) go a whole week making perfect choices. It's hard. So if the purpose isn't to reward great behavior...what's the point? 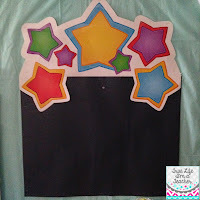 For my classroom, and my students, the point is really to spotlight each one of my sweet babies in a special way. I mean, it's like celebrating your birthday for a whole week! 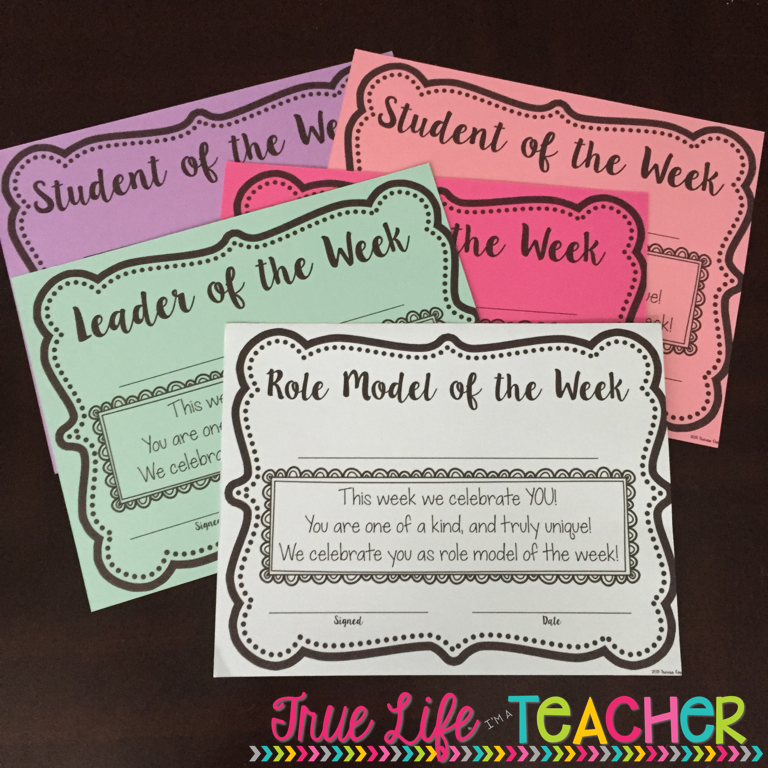 Each of the kids that walk through my door each year are so special, and my purpose for having a Student of the Week is to highlight their uniqueness, and give them a platform for sharing special things with the class. 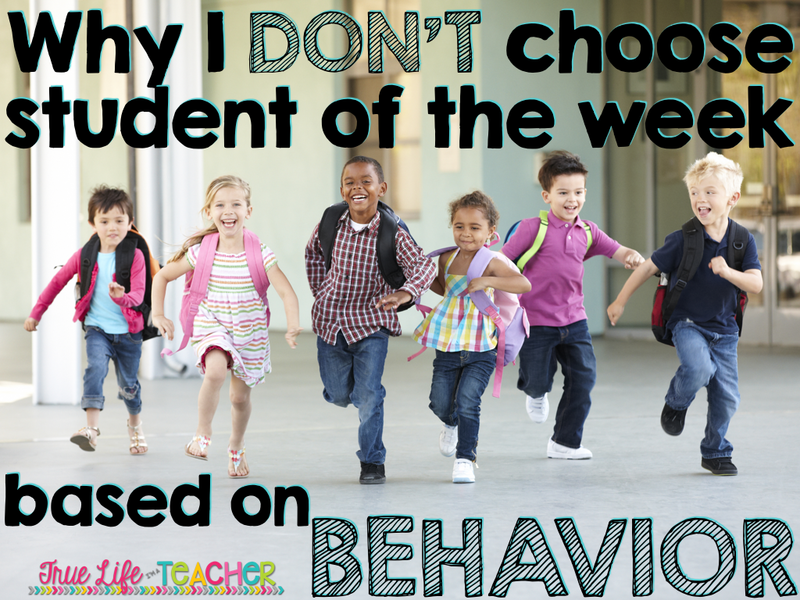 So if it's not based on behavior, how do I choose Student of the Week? 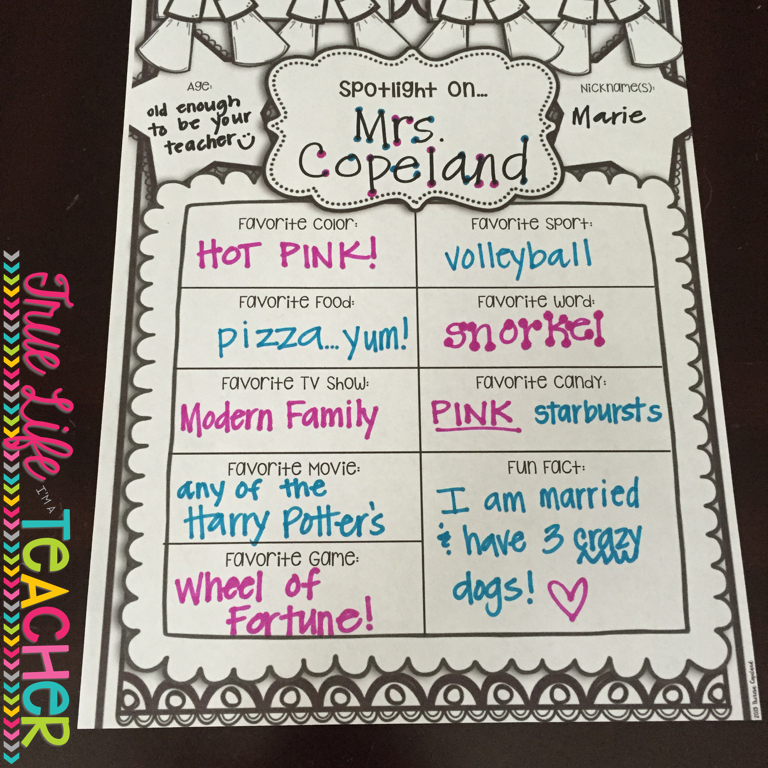 Ever since my first year teaching I've used a cup/container and place popsicle sticks with my kiddos' names on them inside. It's nothing fancy, but it's how I call on kids throughout the day, make groups and partnerships (if they're not strategic), and how the student of the week is chosen. At the very beginning of the year, usually the second or third week of school, I introduce Student of the Week and how it works. I typically use myself as the example for the first week, and do most of the activities that the students will also do! On Monday, I share the "Spotlight On..." page, as well as a few pictures of my husband, and dogs. My kids absolutely love hearing a little bit about my life outside of the classroom :) 'Cause, ya know, I don't actually live in my classroom! The pictures and the spotlight papers go on the Student of the Week display. Nothing too fancy, just a piece of poster board with these wax clip things that are amazing! 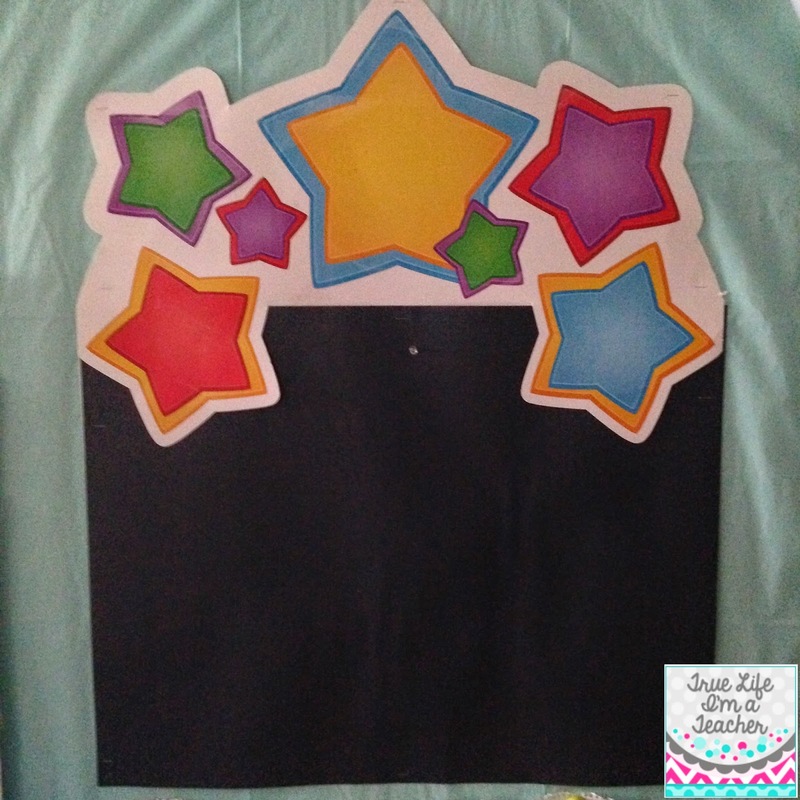 If I had more bulletin board space, I'd make this it's own little bulletin board...maybe this year! Tuesday is a sort of Show and Tell day. The student of the week can bring in 3 items (no relatives or pets are allowed though...haha) that they share with the class. Wednesday is one of my absolute favorite days in this routine. It's the day that parents write a letter to the class sharing why their child is so special! It's really a beautiful moment for the entire class! The best letters are those that share a funny story, or interesting fact. The best part? I've never ONCE had a parent NOT send in a letter! Have you ever tried collecting permission slips, clinic cards, student info sheets...I never get them all back! Thursday is lunch buddy day. If they're able, someone (parent, grandparent, aunt/uncle, older sibling, nanny, etc...) will come to eat lunch with their child. I ask that if no one is able to make it, that parents let me know, and we have lunch bunch in the classroom as a whole class. Still super special. Friday is the day we present the Student of the Week with their certificate! I copy these onto colored paper to save my precious color ink - anyone else have to be super picky about what they print in color (I don't have access to a colored printer at school)? Helpful tip? Go ahead and print/copy enough for the entire year at once. It makes life so much easier! Also on Friday, is when we choose the next week's Student of the Week! The new student of the week takes home a special bag, the "spotlight" paper, and a letter to parents explaining the schedule of events for the following week! Be sure to stop by each day in November for more helpful ideas! I bought this before school started this year and my students have loved it!! Wednesday is our favorite day too!! I'm so glad you and your students love it! Wednesdays are a special day for sure!! !